The Emil Kubek Project is a scholarly resource that pays homage to the works and memory of Father Emil Kubek (1857-1940), one of Mahanoy City’s (PA) most prolific writers. 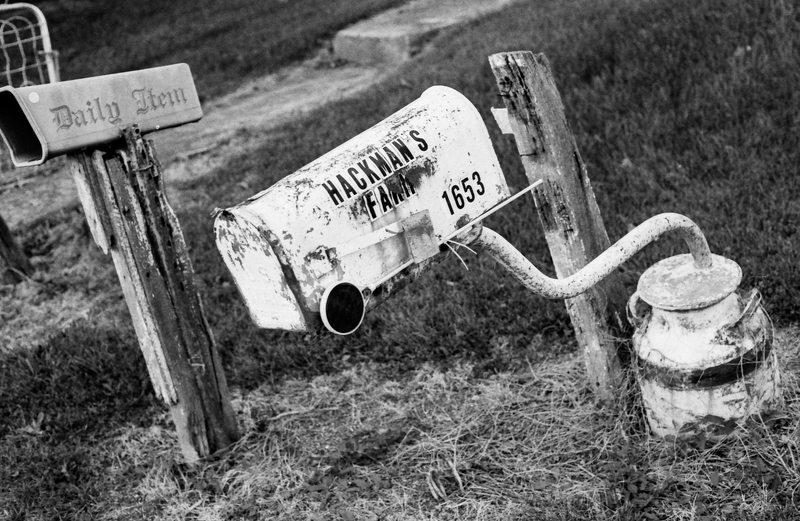 The project was created in the summer of 2015 by Professor Nick Kupensky (Comparative Humanities and Russian Studies, Bucknell University), and Erin Frey ’17 (Comparative Humanities, English, and Economics, Bucknell University) and funded by a Coal Region Field Station Grant through ActionResearch@Bucknell, Bucknell’s program in Comparative Humanities, and the Mahanoy Area Historical Society. Father Kubek, once remembered as the devoted priest of St. Mary’s Byzantine Catholic Church, left behind an impressive wealth of literature in the form of lyrical poetry, prose, short stories, and the novel Marko Šoltys. After emigrating from the Hungarian Kingdom (present day Slovakia) where he had been an accomplished journalist and lexicographer, he settled down in Mahanoy City, PA, where he sustained his journalism career by producing articles, stories, and verses for Carpatho-Rusyn newspapers and magazines. 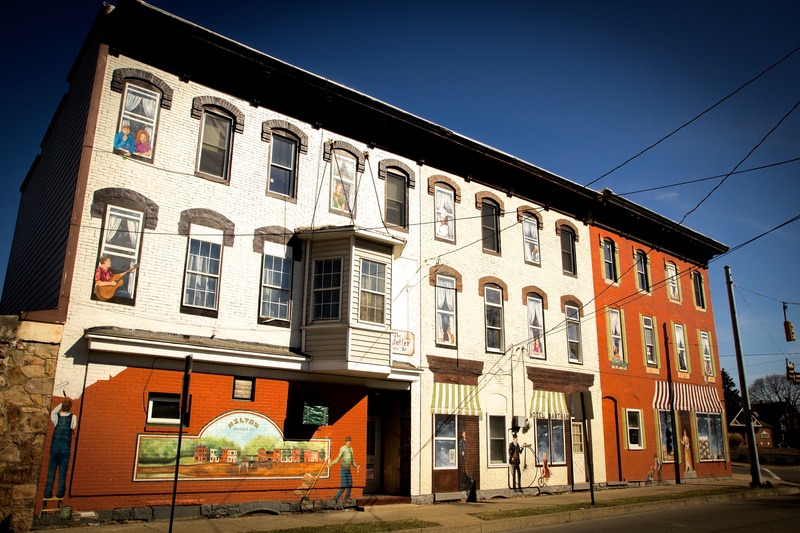 Mahanoy City served as the source of his inspiration, and as a historic and scenic backdrop for many of his works, many of which focused on the Carpatho-Rusyn immigrant experience as urban miners. In the late nineteenth and early twentieth centuries, an amassment of Slavs from the Austro-Hungarian Empire immigrated to America, many settling into coal mining job opportunities that were in demand for unskilled, low paid labor. There is very little Carpatho-Rusyn literature regarding the migrant experience that has been translated into English, and therefore it has made very little impression in American literary history. The Emil Kubek Project serves to preserve Carpatho-Rusyn literature and the voices of Slavic immigrants, contributing to the significance of this group in American literature and history. As a National Endowment for the Humanities summer scholar at Columbia University, Kupensky came across a number of Kubek’s poems in a Carpatho-Rusyn newspaper called Den’ (The Day) amidst working on his research project on Carpatho-Rusyn literature published in American newspapers. Intrigued by Kubek and his work, he jumped at the opportunity to create the Kubek Project. Kupensky hopes that the project will leave a lasting impact for the Mahanoy City community. “I mainly want people who know Mahanoy City well to learn more about the town’s most prolific writer. I hope that Kubek’s work will be a source of pride for the community. For the Carpatho-Rusyns, many of whom are acquainted with Kubek’s work, I want them to discover Mahanoy City and see the ways in which the town influenced his writing,” Kupensky said. The project can be viewed on the WordPress site https://kubekproject.wordpress.com, where Kupensky’s translations of Kubek’s texts and information on Kubek and Kubek’s Mahanoy City can be used as resources to learn more about Kubek’s work. 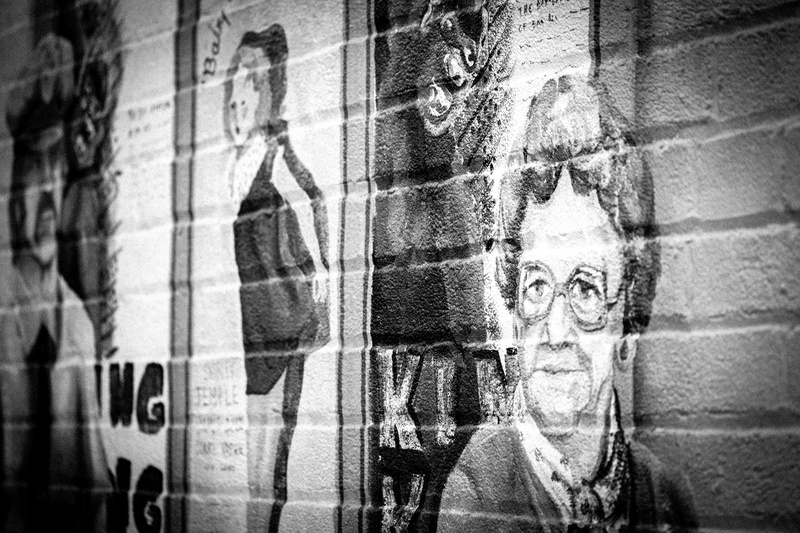 On the site, there is also a virtual walking tour, called The West End Walking Tour, which was organized to allow the public to enjoy Kubek’s work whilst experiencing the sights of historic Mahanoy City that inspired it. For now, the tour will primarily be virtual, but a few guided tours may be organized in the future. Kupensky is also planning a Kubek celebration in Mahanoy City this upcoming November 22nd. Check out this link for more information: https://kubekproject.wordpress.com/2015/10/26/emil-kubeks-mahanoy-city-november-22-2015/ To reserve a seat on the Bucknell shuttle, contact Carol High at ckh007@bucknell.edu. 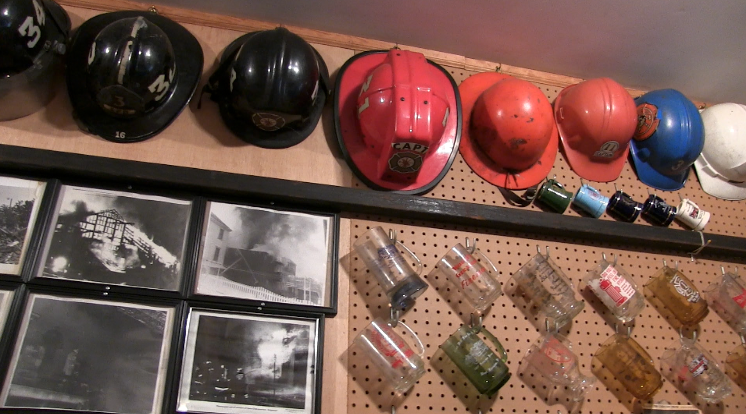 “One Man, One Museum, One community, Shamokin’s fire history” is an original documentary produced and edited by students at Bucknell University, that focuses on the Shamokin Rescue Fire Museum and the life work of John Smith. Students interviewing the fire fighters from the City of Shamokin’s Fire Department. From right to left, the students are: Michelle Lutz, Colin Sygrove, Connor Hayes, and Clayton McManus. The video was a final project for SOCI 206, Video Ethnography, taught by Professor Carl Milofsky. Colin Sygrove ‘15, Connor Hayes ‘15, Abu Chowdhury ’15, Clayton McManus ’15, Michelle Lutz ’17, Laura Lujan ’17, and Stephanie Salazar ’17 were the students who collaborated with firefighters from the City of Shamokin’s fire department, arranging and filming interviews to be condensed into a fifteen minute video. John Smith was a valued member of the Shamokin rescue fire company and the town historian. 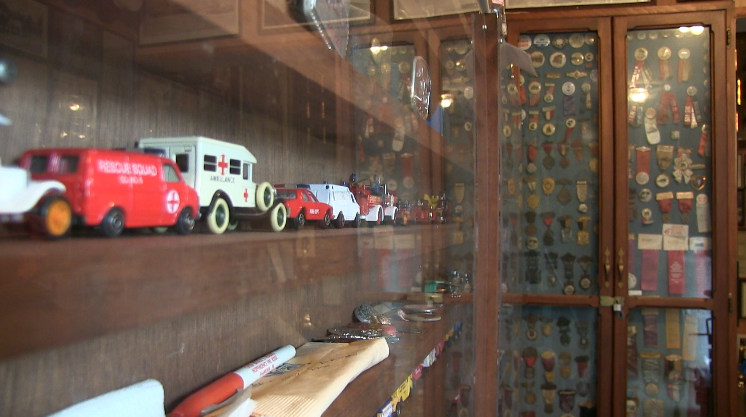 For nearly two decades, John Smith’s collection of Shamokin fire memorabilia was stored in the Rescue Fire Company garage, until 1997 when the Rescue Fire Museum was established. The film captures the appreciation that the firefighters and Shamokin community have for John Smith’s work and the value that the museum has in preserving the town’s history. The establishment of a Bucknell field station in Mt. Carmel is underway, an exciting new development that will induce community based student and faculty engagement in the region. The goal of the field station is to have a location off campus to be utilized by Bucknell staff, faculty, and students where “curricular and extra-curricular components of the University can work together to create novel, interdisciplinary learning experiences for students that contribute to the public good of our region”. Over $23,000 in fundraising has been provided by a range of Bucknell administrative units. Brandn Green, Ben Marsh, and Carl Milofsy have been collaborating with Fr. Marty Moran, Karen Morin, Eric Martin, and Neil Boyd in the establishment of the field station. With the compliance of the Mother Maria Kaupus Center, they were able to begin the project, the partnership of Civic engagement and Place studies playing a key role. This summer of 2015, the first Coal Region Summer Research Institute will be implemented. Funding has been provided to house three faculty and student research projects at the site, where they will be conducting their research. During the 2015-2016 academic year, several projects will advance in support of classes, independent study projects, student research, and faculty research. In addition to the development of the Summer Research Institute that will continue during the academic year, Professors Carl Milofsky and Jamie Hendry will be teaching a Rural Poverty Course. Additional course connections can be made with the utilization of the site for courses such as MGMT 101, MSUS 400, and others. There will also be continued work on the Shamokin Fire Museum, and increased opportunities for Service Learning and Civic Engagement Volunteerism. Additionally, it provides a space for a potential alternative and service Fall Break, as well as a place to hold orientation activities for new students. The research fostered at the field station will be used to inform and encourage community members and college students from other universities within a 50-mile radius to engage in volunteer efforts in the area. On April 12th there will be a dedication for the Mother Maria Kaupas Center to celebrate Place Studies partnership with Divine Redeemer Parish and the Mother Maria Kaupas Center for Community Service. James Benning’s film, Thirteen Lakes, is not for the impatient. 135 minutes long, the film consists of ten-minute stationary shots of thirteen bodies of water across the Unites States. Reactions to the film varied. The rustling heard in the quiet auditorium suggested the restlessness of some of the audience members. The two people sitting in front of me fell asleep fifteen minutes into the film. However, there were audience members who seemed to be completely entranced. In his introduction, McDonald began by bringing up popular reality T.V. shows. Keeping up with the Kardashians, Dance Moms, Project Runway, are exemplary of shows that are fast paced and packed full of drama. Thirteen Lakes provides a complete contrast to the popular cinema of today. McDonald said that, “Everything is about hurrying up, and a speedy life.” Thirteen Lakes is a film that demands that the audience slows down. The stationary shots force the viewer to focus and meditate on the mystery and wonder of the natural world. Amidst our busy lives, the film reminds us of the importance of slowing down and taking the time to appreciate the environment and the place surrounding us. Once a week during the open enrollment period, a group of Bucknell students and faculty members assisted community members applying for the Affordable Care Act. President Obama signed the Affordable Care Act on March 23, 2010. The law makes health care more accessible and affordable for many Americans and lowers the uninsured rate of health insurance. However, many who apply struggle with computers. This is where the Place Studies initiative comes into play. Carl Milofsky is a Professor of Sociology at Bucknell University and the co-director of the Place Studies Initiative. 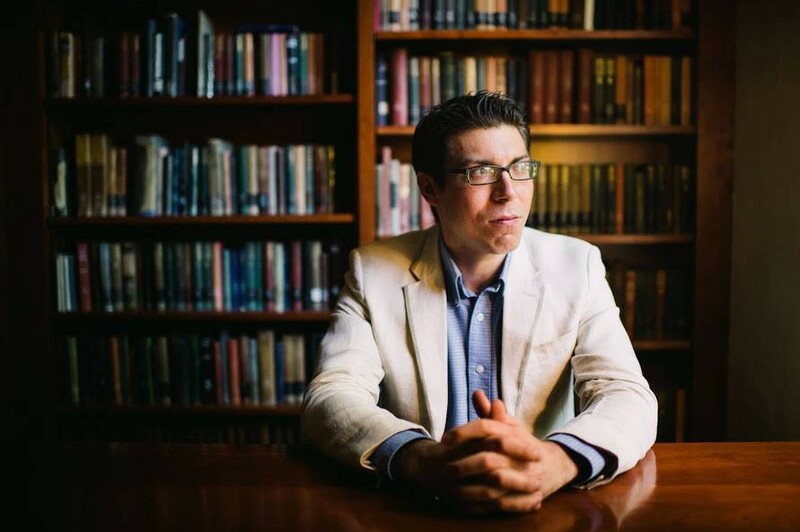 In an interview, he discussed the importance of Bucknell’s involvement with the ACA, and what students and faculty gained from the experience. “I think the obvious reason why it’s so important for us to get involved is nobody else is doing it, and people really need experience. We work with community partners and try to develop relationships with them.” He said. Sam Jacobson ’17 said he heard about the opportunity through the message center, and really enjoys the experience because of the personal rewards he gains from being part of the process such as building relationships with the people he helps, and the interesting stories he gets to hear about their lives. To become a certified application counselor, there was a six-hour online training course that he had to enroll in and pass. “It’s a really cool opportunity to ground Bucknell in the community that exists outside of Lewsiburg. It’s really challenging to work with government bureaucracy and opened my eyes to cracks and inefficiency in the system more so than any scholarly article can.” He said. The overwhelming majority of the people that they assist are low income and below the poverty line and have real, personal struggles. The future of the Affordable Care Act is indistinct, but the next big step and project to further what they have already done is an implementation of Health literacy. This includes finding out the reasons why people don’t sign up, and developing counseling programs to try to convince them to. “It ought to be civil service. It ought to be that the government is sort of saying, why aren’t we doing anything? I felt a little stupid as a volunteer when I really felt it was the government’s job. And I think that will become more and more the case, so that as long as the people who you think would be responsible to do it don’t do it and as long as the government doesn’t fund it, I think we’re stuck in this position because the volunteers are the only way its going to get done. And it’s just too bad.” Said Milofsky. Nicholas Kupensky, former Bucknell visiting professor of comparative humanities, and Bode Morin, site administrator of the Pennsylvania Anthracite Heritage Museum and Iron Furnaces, will discuss ways in which we can discover and share the physical and cultural stories of immigrant hard-coal mining experiences. Carol Parenzan of the Middle Susquehanna Riverkeeper Association and Maureen Hauck of the Bucknell University Small Business Development Center — both of whom have significant connections to Pennsylvania's anthracite coal region — will discuss present and future prospects for the region. Professor G.C. Waldrep, English, will interview Julia Wolfe, composer of Anthracite Fields; Laurie McCants, Bloomsburg Theatre Ensemble and advisor to the project; and Professor Beth Willer, music, who will conduct the upcoming Weis Center performance. Haunting, poignant and relentlessly physical, Julia Wolfe's Anthracite Fields is a lovingly detailed oratorio about turn-of-the-20th-century Pennsylvania coal miners, and a fitting recipient of the 2015 Pulitzer Prize for Music. Adults: $25, Seniors 62+: $20, Youth 18 and Under: $15, Bucknell Employees and Retirees (limit 2): $15, Bucknell Students (limit 2): $10. The free opening act for Anthracite Fields will feature Jay Smar at 6 p.m. in the Weis Center Atrium Lobby. Jay will serve his audience an "acoustic buffet" of traditional American and original folk, ol' time mountain music, bluegrass and gospel tunes, as well as coal mining songs of Northeast PA.